Learn To Turn Tuesdays are back this season with $49 lesson packages for both children and adults. Packages include everything a first-timer needs to get started including a lower-mountain lift ticket, ski or snowboard rentals, and a 1 hour & 45 minute lesson. Children also receive a Progress Card so parents can follow up on their skills. Lessons are designed for beginners but can accommodate students looking for a refresher. 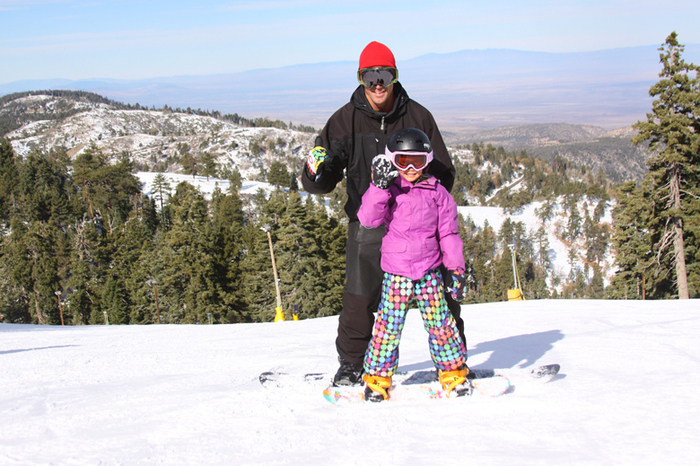 Regularly $75 or more, these Tuesday packages are just $49 when guests reserve them online at https://shop.mthigh.com/c-4-tuesday-time-to-learn-specials.aspx. This offer is valid Tuesdays only through March 26th, 2013, and may not be combined with any other discount or promotion. Lessons take place daily at 10:00am and 1:00pm. Because it takes time to get tickets and rentals, we recommend arriving an hour ahead of time. Click here to reserve your “Learn To Turn Tuesday” lesson!